The Apollo Lighting range of Genius SA standalone detectors offers the choice of either passive infrared or microwave sensors. We offer a selection of devices with detection ranges from a 7m to 40m diameter. We can supply detectors capable of presence or absence detection, switching luminaires and also dimming according to the available daylight. Dimming versions can also have step back illumination function. Various mounting methods are available in recessed, surface and wall mounting configurations. The Apollo Lighting range of integral detectors can be supplied with either passive infrared or microwave sensors. 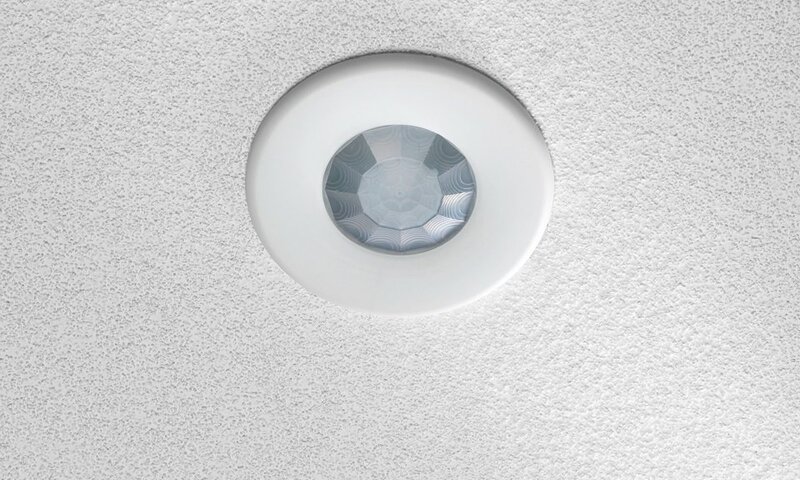 Depending on the fitting choice, they are available in fully enclosed, flush mounted, or mounted on a specially designed mounting box on the side of the luminaire. Our range offers standard switching through to dimming and also step back illumination functions, depending on the fitting and detector chosen. The range covers sliders and rotary controls capable of controlling up to four channels. Each device can control different quantities of light fittings. The switches and dimmers we offer can be used to provide simple control in various areas, from a small meeting room to medium size offices. We also offer a range of dedicated hospital over-bed controllers which are suitable for use with the Apollo Lighting range of healthcare luminaires. , or our designated Sales Engineer for your area which you can find on our Contact page.